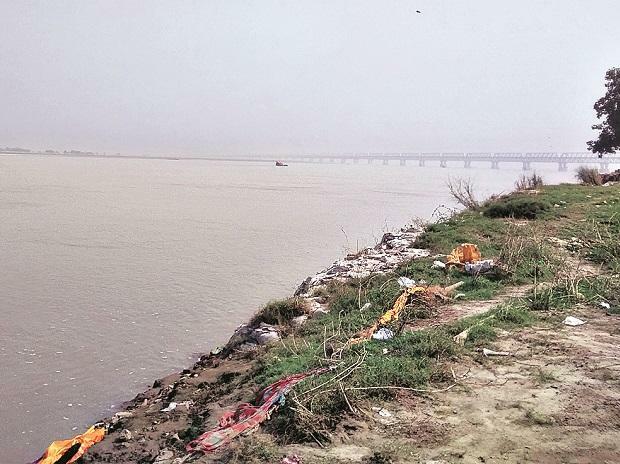 Only one out of 39 locations through which the Ganga river flows had clean water in the post-monsoon period this year, the Central Pollution Control Board (CPCB) has said in its latest study. As many as 37 of the 41 locations through which the Ganga river flows reported moderate to severe water pollution in the pre-monsoon period this year, according to the 'Biological Water Quality Assessment of the River Ganga (2017-18)' report that was recently made public by the CPCB in compliance with a Supreme Court direction. The water quality of the river was either clean or slightly polluted at only four out of 41 locations during the pre-monsoon period and at only one out of 39 locations post-monsoon, it said, adding that Haridwar is the only location where the river was 'clean' in the post-monsoon period. In the report, qualitative analysis of samples that were taken during pre- and post-monsoon period were analysed and put under five water quality classes clean (A), slight pollution (B), moderate pollution (C), heavy pollution (D) and severe pollution (E). According to the report, 34 areas showed moderate pollution in the river while three areas recorded severe pollution in the pre-monsoon period in 2017-18. The report also said in Uttar Pradesh, two major tributaries, River Pandu and River Varuna, are increasing pollution load of the Ganga. "On mainstream of River Ganga, although none of the locations were found to be severely polluted but most are in moderate pollution range," the study said. As many as 37 of the 41 locations through which the river flows, reported moderate to severe pollution in the pre-monsoon period this year, it said. In another study titled Comparison of Biological Water Quality of River Ganga (2014-18), it was found that Ramganga and Garra river water was in heavy pollution range in post-monsoon season during 2017-18. It showed hardly any improvement at most of the locations in the past four years. Water quality at some locations (Jagjeetpur in Uttarakhand and Kanpur, Allahabad and Varanasi in Uttar Pradesh) had deteriorated in 2017-18 as compared to 2014-15, the study said. In 2017-18, water quality at Haridwar Barrage was cleanest during both pre-and post-monsoon period while it was reported to be severely polluted at different monitoring locations in Kanpur and Varanasi during the pre-monsoon phase, it said. "Efforts must be made to control the pollution so that all locations may comply with at least 'B' class water quality," the study said. Class B water quality means the river must be rejuvenated to support aquatic life.